We drove up through the moody misty ranges from the Yarra Valley Lodge, our base for this trip, to reach the William Ricketts Sanctuary. Some rain overnight and the damp from the misty air had left the tree ferns glistening with water droplets as we entered the garden and the whole area has that fresh and earthy scent. It would be very hard not to enjoy the visit with this welcome but to make it even better we are early and there is no one else here. Later in the day the tour buses that will arrive and I’m sure the experience will be different with the energy of lots of curious visitors but in it’s serenity it’s stunning. The giant Mountain Ash trees loom overhead filtering the light and the damp, shaded environment is pefect for sustaining the moss that grows here giving life and definition to the sculptures. 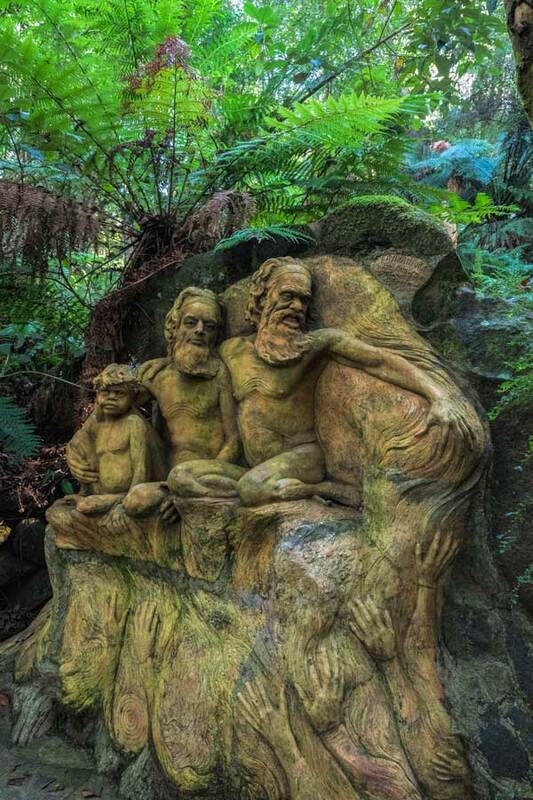 I’d first seen photos of William Ricketts sanctuary on Pinterest years before and added it to my ‘must see’ list for when we had a spare day in Melbourne. I’m really thankful to who ever posted that gorgeous photo that inspired me to add it to our itinerary all these years later. 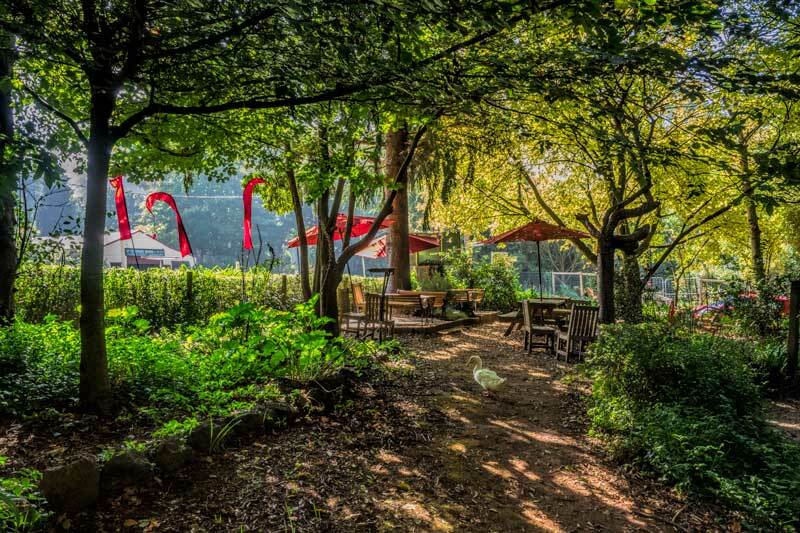 It would be worth the trip out from the city for this garden alone, let alone the many other attractions that the Dandenong Ranges and Yarra Valley region have to offer. 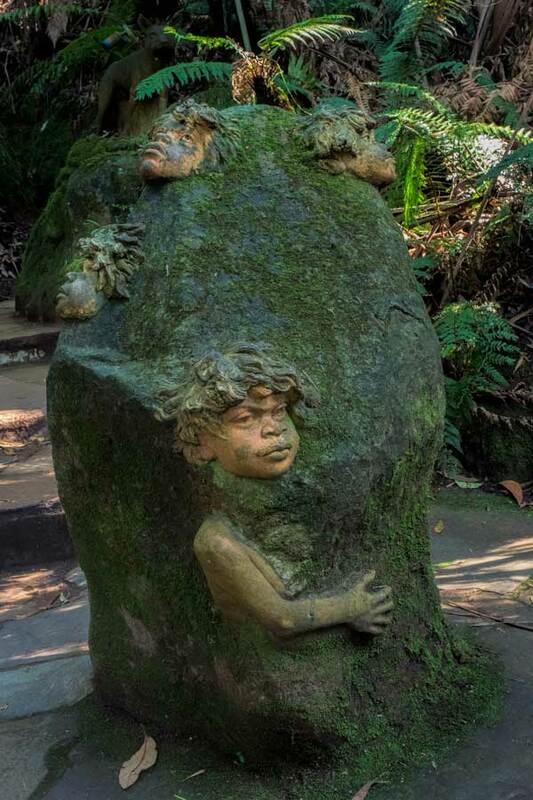 William Ricketts (1898-1993) was a jeweller by trade but it’s his legacy of kiln fired clay scultpures on his property in the Dandenong Ranges that he is known for. He was inspired by his frequent visits to central Australia in the 1950-60’s where he spent time with the Pitjantjatjara and Arrernte Aboriginal people of the areas. In 70’s he visited India on a spiritual journey which he claimed influenced him profoundly and it’s influence is seen in his work and philosophy. He settled on the property on Mount Dandenong in 1934 where he started the works seen today in the garden and continued to work on them until his death in 1993. Interestingly I’m told Ricketts wasn’t cconsidered a technically great potter and sculptor, something I understand relates to technique resulting in cracks in some of the works. He was however able to evoke emotion and meaning from a lump of clay and for that in my opinion he was truly gifted. As with all art it’s what the viewer takes from it that matters and that will vary from person to person. 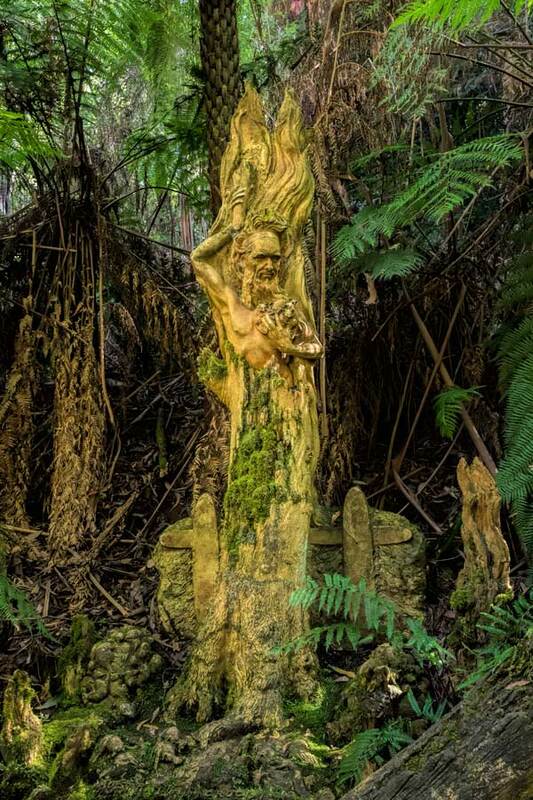 I personally enjoyed the William Ricketts Sanctuary and his work immensely and found it to reflect a strong feeling of spirituality, his respect for nature and all people. 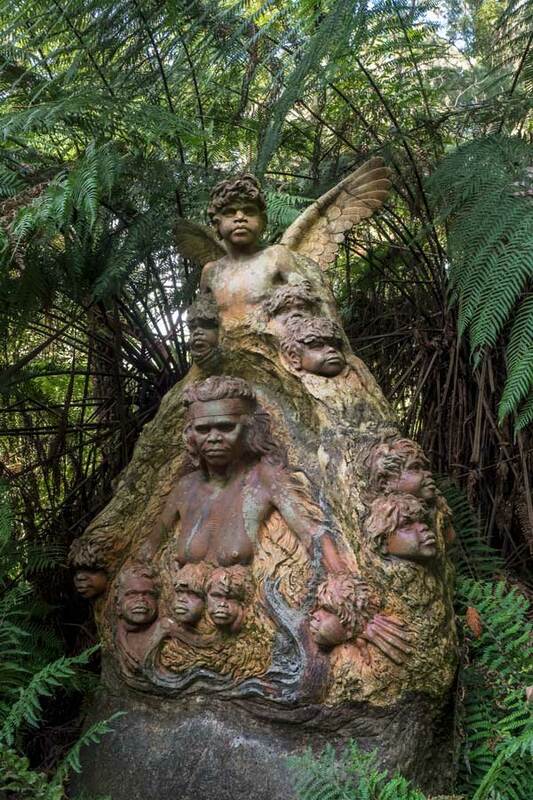 There are 92 pieces in the garden that represent his life experiences and beliefs, each one could be discussed at length or simply enjoyed for its beauty and natural setting. In 1961 Ricketts agreed to transfer his property to the Victorian Forests Commission and the gardens were opened to the public in 1964. The Commission built him a new home, studio and kiln on the property. Both the original cottage he had transported and placed on the property and the other newer building are partially open with the garden. 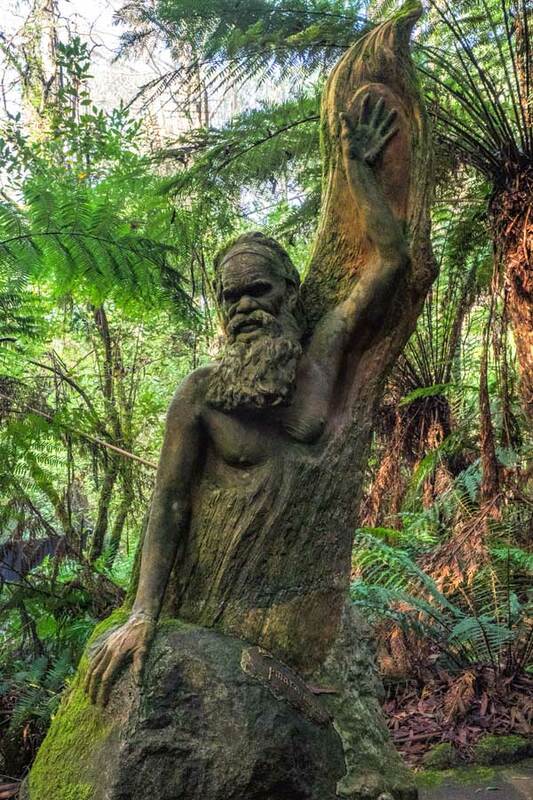 He continued to live and work from the property until his death and his ashes remain there today scattered around the Tree of Life sculpture, returned to to the earth as part of the cycle of life he so strongly believed in. Opening Hours 10 am to 4.30 pm daily (closed Christmas Day). Please check the official Parks website for any maintenance or weather related closures which may occur from time to time. Time Required Allow 1-2 hours to explore the meandering paths and hidden sculptures. Facilities Onsite is a visitors centre and public toilets. You are asked not to take food and drink into the gardens, it’s unsuitable for picnics and is designed to be enjoyed as a stroll garden and in quiet reflection. However, when you finish at the gardens we can recommend a short walk further along this road to the Brunch Cafe. This adorable little cafe has indoor and garden seating and a delicious range of drinks, snacks and meals, it’s a great choice for a cuppa after exploring the gardens. Alternatively just a short drive away either the Alfred Nichols Gardens or the National Rhododendron Gardens are free to enter and are suitable spots for a picnic lunch. Really interesting sculptures. Are they made of stone? They almost look carved in wood and really blend in well with the garden. Wow, that’s a gorgeous place! It’s hard not to fall for those sculptures. 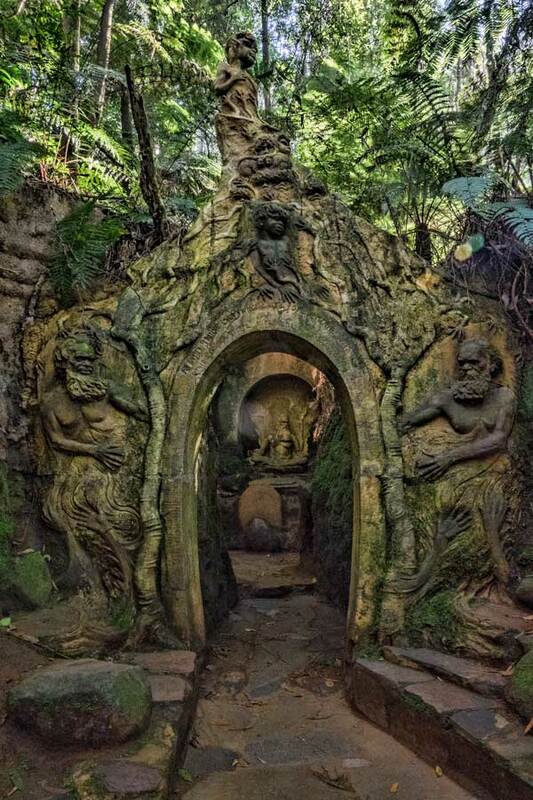 The William Ricketts Sanctuary looks amazing. And that green just adds to the whole drama of the place. I would totally love to explore it. The art is amazing although a little creepy. I’d like to visit the sanctuary though 🙂 Thanks for highlighting the place and definitively adding it to our growing list of fascinating places to visit. I missed this when I was there — it looks incredible! I didnt know this existed and I was there awhile. I should have read this prior. I would have loved to visit. I’m with you. I don’t have the artistic wherewithal to recognize good or bad sculpting technique. William Ricketts’ work looks fantastic and the sanctuary an almost spiritual place to visit. I love all the greenery crowding in around his work. Thanks so much for passing on the inspiration for a future visit. Wish I’d known about this place when I visited Melbourne! It’s cool you got to see it in all of its tranquil glory before tourist buses arrived too. Oh wow…they are stunning. Another one to add to our ever growing list.